Bratislava is a great city. The first thing that caught my attention when my airplane landed at Bratislava airport was the big green landscapes. The first impression of the city was really great and I couldn’t wait to explore the city. The first days I was introduced to the people in the Slovak Academy of Science in which I was working for my project. They were willing to help me and answer all my questions, not only related to the project, and I learned a lot from them during my stay. I also visited the center of the city which is beautiful with huge and impressive buildings, but the best part is that on one of the bridges that crosses the Danube river, there is a tall construction that people call it UFO, because its shape looks like an UFO, from which you can get a beautiful view and see the whole city. 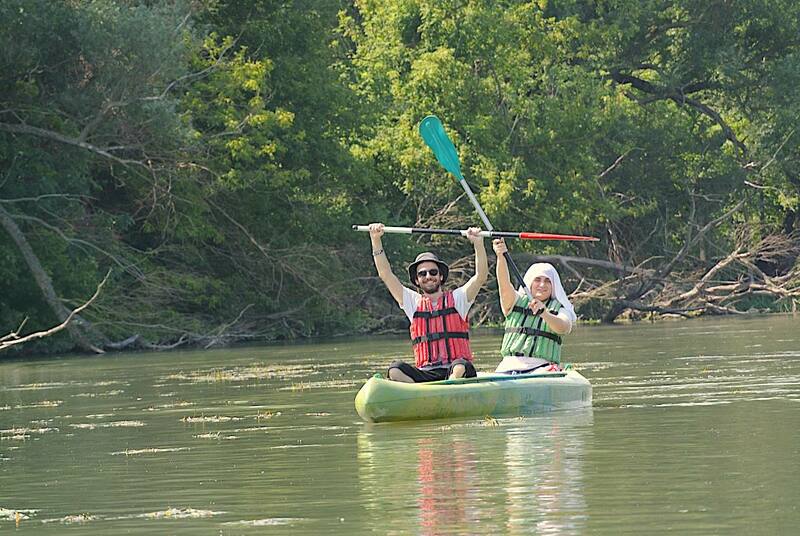 Fillip, who is the head of the HPC in Bratislava, organized a canoe trip along the Little Danube, which is a branch of the Danube, for us and all the people in the HPC center that wanted to participate. We started our journey round 10 am. Canoeing through the forest, in a beautiful river was a unique experience for me because I have never done something similar. I would describe the feeling as hiking with your hands. It is actually pretty similar only at the end of the trip, your hands are the ones that are burned out rather than your legs. The trip was six hours long and we covered more than 20 enjoyable kilometers. Overall, my experience in Bratislava was very good and I am happy that I got to meet such kind people and I am looking forward to visiting the city again to see the places that I missed during this summer. ‹ Is your code malleable?